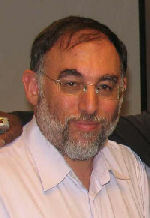 In early November, Ofer Eini announced the end of his 8-year stint as the head of Israel’s national trade union center, the Histadrut. The end of the “Eini era” is a good moment to reflect upon some of the extraordinary successes the Histadrut has had in the last couple of years, particularly in organizing workers previously thought of as “unorganizable”. That these successes are largely unknown outside of Israel is due to the blind hostility shown by some trade unionists to the Jewish state – a hostility that extends to the Israeli trade union movement. The Histadrut has made extraordinary progress in its organizing campaigns recently by using audacious tactics in the workplace, getting labour laws changed, and using new technology effectively. The result has been that unlike unions in many other industrialized countries, the Israeli labour movement is growing. They began the year with union recognition at the mobile phone carrier Pelephone. This victory followed four months of struggle that culminated in a historic decision by Israel’s national labour court which ruled that an employer cannot intervene in the right of its employees to form a union. They repeated this success in April with Cellcom, another large mobile phone carrier. Hundreds of new members were signed up, initially in a secret campaign and then openly. Cellular telephone companies have been very difficult targets for unions in some other countries, as evidenced by the campaigns being waged by American unions to organize German-owned T-Mobile, or the struggle Britain’s unions have had with Virgin Media. The Histadrut’s successes were not confined to the high-tech sector. In June, the Histadrut’s youth arm announced that it recruited over 7,000 young workers at McDonald’s. In most countries, unions struggle to successfully organize McDonald’s workers – or workers in any other fast food chain. At the same time, the Histadrut launched a 6.5 million shekel (1.36 million Euro) television ad campaign to promote union membership. The Manufacturers’ Association condemned the planned ad campaign as “wretched timing” — not specifying when precisely was a good time, in their view, to promote union membership. Few unions outside of Israel will be aware of any of these successes in part because of the reluctance to engage with the Jewish state. But another problem is that the Histadrut itself makes almost no effort to share its successes with the outside world, and instead focusses its very limited international activity at attempting to block anti-Israel resolutions at union congresses. It’s very rare for a Histadrut representative at international trade union events to speak about anything other than the conflict with the Palestinians. But when they do – as happened at a global food workers congress in 2011 – they may find themselves facing an audience that is far less hostile. Eric Lee is the founding editor of LabourStart. the global labor news and campaigning site. His website is hereand his blog here.This article appears in German in Jungle World with the headline “Per SMS zum Arbeitskampf”.